Are you the kind of person who knows they should get a case to protect their iPhone X, but doesn’t see the fun in it? Cases often feel like training wheels, and you might even have “forgotten” to buy one altogether. 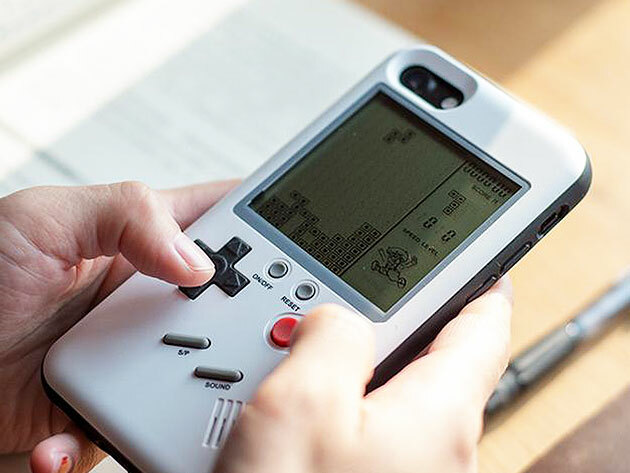 In spite of this love-hate relationship many phone owners have with their cases, GameBoy fans all over the world have a lot to be excited about with the Wanle Gamers Console For iPhone. This fantastic protective case doubles as a fully functioning, classic GameBoy console! Once you fit your iPhone X with the Wanle, it’s possible to flip your phone around to play whenever the mood strikes you. From Tetris to Formula One Racing, to Snake, the case comes pre-installed with ten classic games. And because of its raised buttons and hard-plastic construction, you’ll get just as much protection as any other case. The Wanle isn’t even bulky! Its ultra-slim design means you’ll hardly know it’s there. Switch that boring case you’ve been using for one way more interesting, or take a plunge to protect your phone for the first time with the Wanle Gamers Console For iPhone—currently 57% off at $33.99.